What Commun.it users are saying about us? Commun.it helps online businesses to build meaningful, personal relationships with focus on the high-value relationships (Influancers, supporters, Most engaged members etc.) which helps them to achieve their marketing goals to grows engagement, build real connections within the social space, grow market awareness and eventually grow sales and customers life-time value. All in a stress-free, easy to use and actionable social CRM platform. "Finally a social media tool that grows engagement and is actually useful to creating real connections within the social space. 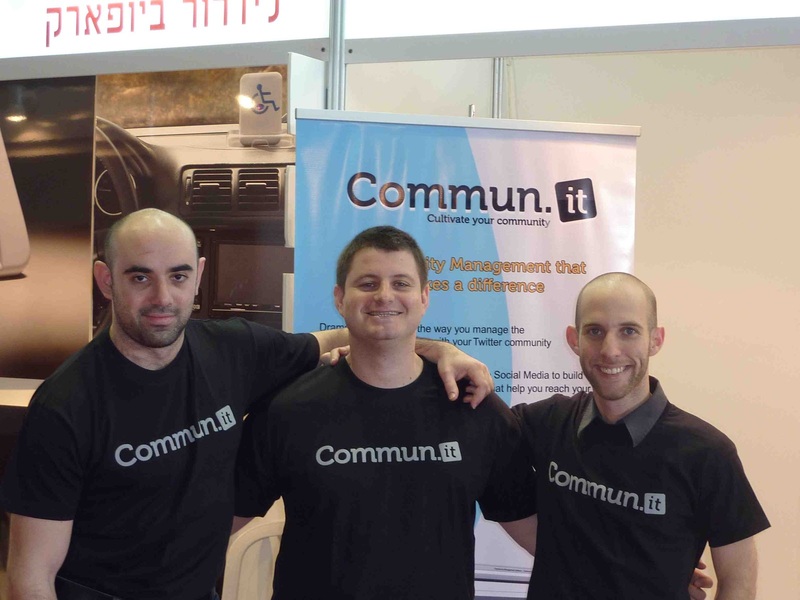 Since the team here at You Brand, Inc. first got introduced to Commun.it we've used it daily. If you want a tool that will help you build real connections in social media you will love this tool." Scott Scanlon, CEO, You Brand, Inc.
What is social sales? what is social engagement? "Sales is changing constantly, and what has changed now is the nature of the engagement between sales person and his customers." Each person who is active online via social media want to make a difference, and manage the meaningful relationships that help him to make the change...add value to the world and his personal brand or business brand. What is social CRM? Social Businesses? The reason is Why? Why Apple is so innovative? I have seen this movie and was very inspired by it, I showed it to my wife and asked what she think about him, she said: "Nice guy, seems very smart and that he achieved some things in life, who is it?" and I said this is the "legendary investor Warren Buffett", a man whos fothern is estimated at 45 billion dolars, and a notable philanthropist, having pledged to give away 99 percent of his fortune to philanthropic causes! What is the DNA of a startup CEO / Lead entrepreneur? Blogosphere market stats - how big and profitable it is? Simplicity is the ultimate sophistication, how to make it simple? We all know the Pareto principle (also known as the 80-20 rule, the law of the vital few, and the principle of factor sparsity) states that, for many events, roughly 80% of the effects come from 20% of the causes. What are the recommended inspiration books for entrepreneurs ? When to quit ? When to stick? "Pain is nothing, compared to what it feels like to quit"
Pivoting... a key sucess factor for startups, but when and why ? How to build a successful software company: vision, pivot, team harmony, tight feedback loop. Smile to the world, and the world will smile to you, help others and they will help you....circle of life! We all grow and learn from others success - i think it will make us more successful. Sometime we may think that a competitor/other company progress is bad for our company. I don't, at the end of the day, any progress that happen in the startup world had a direct connection to other startups success. The more that we help others to succeed, we grow ourselves and make us more successful. Look at investments for example, the more startup will succeed, the more investments will come, when and internet startup will get an IPO (FB, twitter ...? ) then more VC money will come, more money will be direct to the industry, attracting better people, create new initiatives, adding new angle investors and provide to the end users more selection to choose from, ultimately adding more consumers to each industry. So Smile to the world, and the world will smile to you, help others and they will help you....circle of life. The Mindset of a Winner: what get's you out of bed after you succeed once? Success is a journey, filled with endless opportunities and challenges. The uniqueness is what makes the different, and the difference is made by passionate people doing what they are in love with.